Can the Solar Cycle Amplitude Be Predicted Using the Preceding Solar Cycle Length? 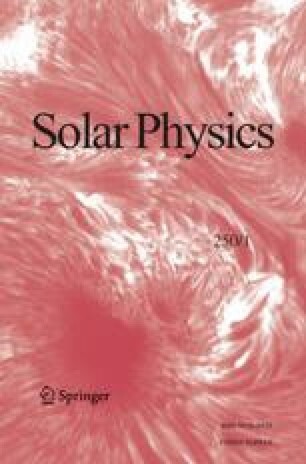 In this work, the evolution of the relationship between Solar Cycle Length of solar cycle n (SCL n ) and Solar Cycle Amplitude of the solar cycle n+1 (SCA n+1) is studied by using the R Z and R G sunspot numbers. We conclude that this relationship is only strongly significant in a statistical sense during the first half of the historical record of R Z sunspot number whereas it is considerably less significant for the R G sunspot number. In this sense we assert that these simple lagged relationships should be avoided as a valid method to predict the following solar activity amplitude.